any individuals engaged in a search and rescue operation. Resisting and Obstructing charges are serious and can be charged as a felony or misdemeanor. These offenses regularly result in jail time and a conviction can impact your ability to get meaningful employment or professional licensing. A skilled, experienced retained lawyer can help you through the process and is your best hope of avoiding devastating consequences that can impact the rest of your life. Should I Hire a Lawyer if I’m Charged with Resisting and Obstructing? Yes, absolutely. This law means business. The lowest level of resisting and obstructing is misdemeanor resisting and obstructing. When charged as a misdemeanor, these offenses are usually charged as an ordinance violation and are punishable by up to 93 days in jail and up to 2 years of probation. Most resisting and obstructing charges are felonies. The penalty for a first offense under state law is 2 years in jail/prison. Probation for a felony can be up to 5 years and can include a multitude of terms and conditions that can make life very difficult, expensive and time-consuming. However, if an officer is harmed, the jail/prison time increases to 4 years. If an officer is injured to the extent that it amounts to a serious impairment of a bodily function the penalty jumps to up to 15 years in prison. And finally, if the injury causes the death of the officer, the penalty is up to 20 years in prison. It is important to know that physical contact with an officer is not necessary to establish the first level offense. “Obstructing” includes threatening to use force against the officer, as well as refusing to comply with a lawful command. Why is retaining a lawyer for Resisting and Obstructing so Important? These charges are really serious and many people, including most lawyers, are not aware that if at the time of the officer’s injury the defendant was committing a crime, he or she can be convicted of that crime as well as “resisting and obstructing.” Under the statute, a judge has the option to sentence a defendant consecutively with the other offense. For instance, if a defendant was caught trying to break into a house, and then obstructed an officer who arrived at the scene, the defendant can be sentenced time in jail or prison for the breaking and entering and then would have to serve a separate sentence for the resisting and obstructing conviction. This is a fact that virtually no defendants are aware of, no prosecutor will tell you, and a fact that an inexperienced, nonspecialized, or bargain lawyer may not know. This charge is one which prosecutors and judges deal with very aggressively, and jail time is often the goal for them. Judges and prosecutors are keen to impress the police that they support the police because they work with them every day, and in many ways rely upon their cooperation and support, both in the performance of their jobs and politically. This is simply a fact of life and the way that the politics of these cases work. A highly experienced and savvy retained attorney anticipates and knows how to deal with this unspoken political dimension in these cases and how to turn the tables in your favor! Most lawyers will not tell you but the fact is that even most retained lawyers take state court assignments and work as court-appointed attorneys. You would never know this unless you ask. Unfortunately, attorneys who take appointments are not immune to the political forces at play in these cases because they rely upon judges to appoint them. If a retained lawyer, who takes appointments from a judge, thinks the judge may retaliate for a vigorous defense to this charge, it is likely the court-appointed attorney will be conflicted to do what is necessary to fully challenge the charge. An aggressive and passionate retained defense attorney owes his or her best efforts only to you, the client, and is immune from political pressure. The dedicated, experienced and zealous defense attorneys at LEWIS & DICKSTEIN, P.L.L.C. 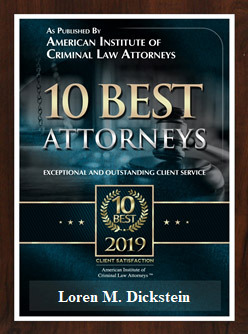 have successfully represented thousands of clients on felony and misdemeanor charges in Oakland County, Wayne County, Macomb County, Washtenaw County, Livingston County and throughout Southeastern Michigan. 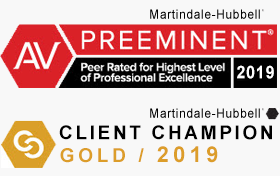 We have a well-earned reputation for providing the highest quality defense and aggressive representation, while showing empathy and care for each client. Call us today at (248) 263-6800 for a free consultation or complete a Request for Assistance Form and we will promptly contact you.